What happens when a brainiac boyfriend discovers his smoking hot girlfriend has Melanoma. He fixes the problems! This begins the Keys Story, Keys Natural Skincare and the effort to naturally end skin disorders! Wendy Steele, Keys CEO and Founder, fondly says that Keys is all her fault. The reality is that she survived deadly Melanoma but could not beat the chemicals in prescription and skincare products that left her skin a train-wreck. Wendy experienced just about every type of skin disorder imaginable and all we traced back to the Dirty Dozen chemicals in about 98% of the skin care and prescription products available OTC and from doctors. Wendy’s boyfriend, Bob Root, a former Silicon Valley CEO/Engineer undertook the project to develop products to help Wendy. 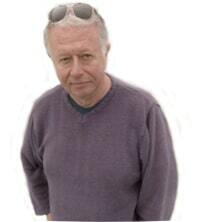 He gathered information from Harvard MD’s turned naturopaths to aboriginal healers. He realized that there was a pattern and scheme to skin health. It was to be Chemical-Free. Thus the Keys tagline of Chemical-Free Skin Health®. Bob’s products worked and worked quickly for Wendy. Friends with similar disorders, their family members with something as simple as dry skin, through acne and skin cancer suffers found relief using Bob’s products that he gifted them. Creating the Keys line was not a decision, it was market demand that brought out the initial four products and stunned the burgeoning natural products industry. Why they all still had some chemicals and Bob’s did not! Keys products solve skin problems and make people feel good. Skin care, skin therapies and anti-aging products come from whole natural ingredients known for their efficacy and safe performance. From the slightest itch or fine line to post-cancer skin disorders, each Keys product is a solution to a problem. Pure, clean, safe and effective, Keys facilitates skin health without chemicals. All of the products are Probiome® meaning they promote healthy skin by nurturing our skin’s natural microbiome. Our skin’s community. Functionality is paramount at Keys. Coming from Silicon Valley to Bob, products have to do something. Great if they make people feel good, but in his mind, they have to solve problems. He fixed his girlfriend’s problems and the precursor for anything Keys makes is that it has to solve problems people are experiencing without using any chemicals. All products are priced reasonably well below chemical-laden pharmaceuticals because of the business systems Keys employs. They were the first 100% cloud-based company in the natural products industry. 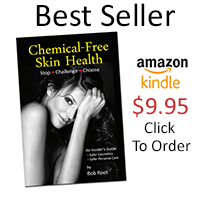 Bob in his top-selling book, Chemical-Free Skin Health®, points out that it was a lot of trial and error to develop those first four products for Wendy. 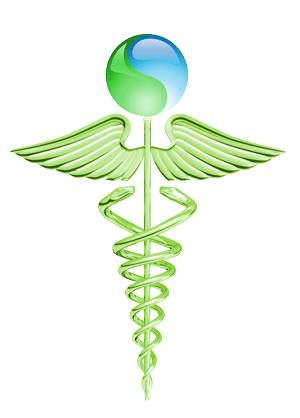 My incentive was that Wendy was in trouble because of western medicine and I was determined to figure out how to solve her problems naturally. The other 45+ products in the Keys line were all inspired by skin disorders related to him by loyal customers that believe in him. He does not take that lightly! You can read more of the story in detail below. Now Bob & Wendy are married and still developing products, giving speeches, writing books and listening to what customers have to say. Funny, Bob always refers to Wendy as his smoking hot girlfriend and her as her brainiac boyfriend. 20 years of solving problems and making people feel good together with chemical-free skin health products. “We believe that over 50% of all skin disorders in people and pets are misdiagnosed and are caused by chemicals in everyday products and the environment! We offer you this backgrounder as insight into our reason for being, purpose, and direction. Keys Care designs, develops and manufactures natural healing therapies for people and pets. The quality and quantity of our ingredients are what differentiate us. We use pharmaceutical grade whole ingredients in therapeutic proportions. We use ancient remedies, natural medicines, whole natural ingredients, aromatherapy and aboriginal homeopathy combined with modern technology to provide safe and effective products for people and pets with skin disorders, sensitive skin, post cancer recovery or those wanting to avoid chemicals in their lives. Our resellers are an extension of our core team and are experts and trusted advisors in their communities. At our baseline, we believe that all of our products must solve problems and make people feel good. We also think that natural and organic are not features, they are the choice we make assuring purity of purpose. Wendy Steele and Bob Root are the founders and inventors of Keys Soap. They are both ex-corporate executives: Bob was a CEO of a Silicon Valley High Tech company and Wendy a VP at Coca-Cola. The soap and skin care connection? Skin Cancer! Wendy Steele, Keys Founder, was diagnosed with Melanoma and beat the deadly disease. She could not overcome the terrible reactions she had from prescription and expensive skincare products. Told she had eczema, psoriasis, acne, rosacea and dermatitis her condition deteriorated. Doctors kept prescribing more junk, steroids, and cortisones. Wendy was struck with Skin Cancer multiple times. She has beaten Melanoma and other forms of the devastating skin disease. As an advocate of Skin Cancer prevention, and an Inner Circle Member of the Skin Cancer Foundation, Wendy has tried virtually every form of skin sun protection. From exotic 100 SPF swimwear to SPF 30 clothing, and every form of sunblock, she is an expert on taking skin protective measures to avoid sun damage. From her personal experience, the more products she put on her body, the more sensitive her skin became. Her use of lotions, sunscreens and exotic clothing cost thousands of dollars annually. The problem was that no matter what products she used, she did not feel free from itchy irritated skin that was exacerbated by that sticky feeling from lotions and sunscreens. Maria Shriver 2009 California Women’s Conference Speakers Gift Bag Pick. There are two facets to skin health and wellness for pets and people. It is a combination of what you use and what you avoid. Skin disorders rank at the top of the list for veterinarian and dermatologist visits. We believe that over 50% of all skin disorders are misdiagnosed and are caused by chemicals in everyday products…many with the claim of natural, organic or botanical. Longevity and Wellness are connected. The life expectancy in the United States for pets and people has been consistently dropping. Why? We believe the body burden from the dirty dozen chemicals in skin care and household products may be causing disorders, outbreaks and even contributing to elevated cancer rates. This is why we use the term Chemical-Free. It means free of human-made chemicals. We are committed to leading the way for other manufacturers to disclose product ingredients fully. Keys created the Therapy Facts panel to help people to make healthier choices for their family and pets. Today, modern medicine treats symptoms and not the cause. Their products, therefore, focus on the symptom and not the cause. Aboriginal, eastern, holistic, herbal, naturopathy and ancient medicines treat the whole being and look for the cause. In many cases, it is an imbalance that causes disease and disorders. There is a direct relationship to the quality and grade ingredients in products and the results you get. 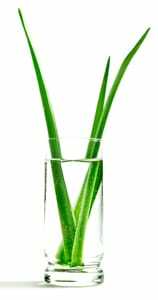 Many products promote Aloe Vera and Shea Butter as ingredients. Pharma Grade ingredients are rated the best in quality, with the highest level of critical actions and values associated with them. When you read a label, you should ask: what grade ingredients and in what proportion? For example, our Aloe has a polysaccharide level of 10. Many Aloe’s we tested were not even Aloe. Our Shea Butter tests to a fatty acid level of >2.5. Many processed Shea’s are less than 0.8. There is a difference in even the same named ingredient. • Fragrance – they are known skin irritants for pets and people, and many contain chemicals found on the Dirty Dozen list that you should avoid! Attaining healthy youthful skin is a lifetime journey. In this quest, people use soaps, scrubs, gels, toners, moisturizers, lotions, creams, lighteners and the list goes on! They also bathe their pets in shampoos for their armotharapy instead of the pet’s well being. 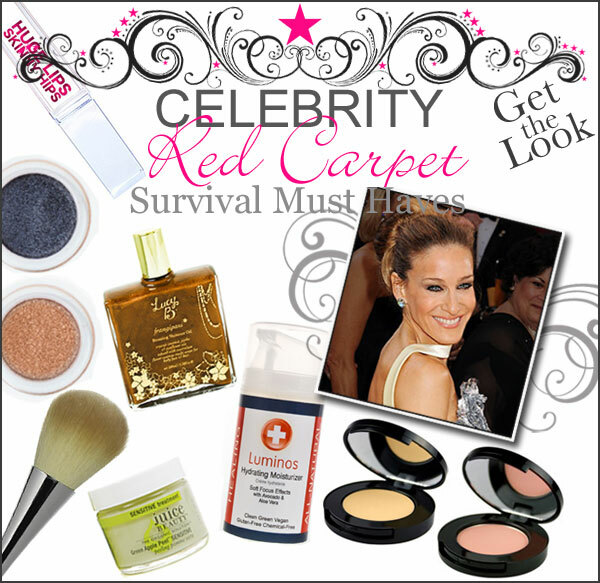 Most of these products use chemicals that sensitize, irritate and weaken the skin. For example, 95% of all liquid soaps and shampoos contain SLS (sodium lauryl or laureth sulfates) that increase skin permeability and opens the door for other chemicals and irritants to penetrate deep into the skin. Parabens, petrolatum, propylene glycol, Cocamide DEA/lauramide DEA and triethanolamines are common ingredients in all kinds of soaps, shampoos, creams, and lotions. When on the skin or absorbed into the body, they can create susceptibility to allergic skin reactions, skin disorders and even worse are linked to diseases! If you or your pets has irritated or affected skin, odds are good that it is caused by the shampoo, body and face soap you use, anti-bacterial hand products, or residue from your laundry detergent. The skin is our single biggest organ, and skin health is vitally important. Most of the soaps people use on their skin is a degreasing detergent; in fact, most of the liquid products using the term “soap” are not soaps at all. They are chemical detergents containing SLS that strip away oils and actually damage the skin. That is why there is very little difference between most bath gels, dishwashing liquid, shampoos and engine degreasers. The Keys philosophy is to simplify skin care by carefully and naturally cleansing, restoring and protecting the most sensitive skin. We consciously act on that philosophy to improve skin health. We choose not to use chemicals in our products, on purpose! Keys Soap first announced the introduction of its new line of all-natural, chemical-free therapeutic liquid bath and hand soaps on March 29, 2005. 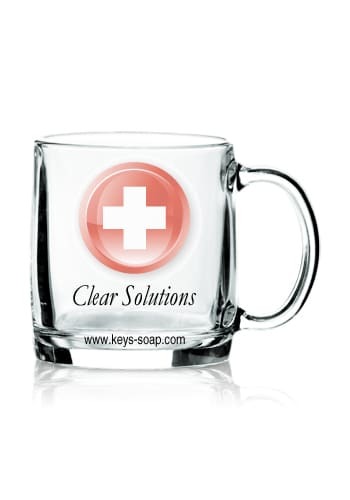 Keys liquid soaps are holistic, soothing, therapeutic soaps for people with sensitive, allergic or affected skin. They contain only pure ingredients with no human-made chemicals or fragrances. Our soaps do not contain skin irritants like SLS, parabens, propylene glycol or DEA. Since the release of our soap products, we have received considerable feedback from skin disorder sufferers offering qualitative results from their use of Island Rx on diagnosed common skin disorders like acne, eczema, psoriasis, and rosacea. We have many testimonials that would indicate the effectiveness of Island Rx. “Although these are testimonials in uncontrolled environments we believe they are early signs of the therapeutic properties of Island Rx,” said Bob Root, Keys Soap inventor. “In this period of time, medical estheticians have told us of results with their patients where prior medical methods did not help their conditions. We now believe that our products, including Island Rx, are tools in the growing movement of alternative chemical-free skin health”, continued Root. People and pets with dry skin, eczema, psoriasis, rosacea and acneic conditions value the therapeutic results from using our clean products that contain no irritating or sensitizing chemicals. Our customers enthusiastically tell us in their testimonials how our products make a difference in treating skin disorders, and irritation for themselves, their children and their pets–when nothing else has worked. After using our chemical-free therapeutic products, our customers tell us that the results they see and feel are remarkable and even life-changing! We call this creating chemical-free skin health, on purpose, with our products and customers. Dermatologists use our Island Rx therapeutic soap and recommend it for sensitive skin for people with skin disorders that have not responded to other treatment. We even have customers who enthusiastically recommended our soaps to their dermatologists! Medical estheticians use and recommend Island Rx for sensitive, irritated and acneic skin conditions to avoid any further irritation or sensitization of the skin. They love how it makes their skin feel and the results they see. Master certified groomers use and recommend MetaClean (formerly Muttineer) for how the therapeutic pet shampoo stops animals’ itchy skin and for how it conditions the animals’ coat and skin. Our customers are people who are interested in keeping their skin young looking and aging beautifully; people who are skin health conscious; and people who take serious sun precautions to avoid skin damage from solar radiation. Our customers also care about the skin health of their pets and want to avoid applying pesticides and chemicals on their pets’ sensitive or allergic skin. Keys Islandceutical products merge holistics with herbal therapy and science to provide clean, chemical-free skin health, aromatherapy and a lift to the spirit. Our products are designed with ingredients to gently clean, restore and protect using advanced technologies that are safe and effective. Working with national labs and universities, we look for state of the art and “skip generation” technologies as a continuous learning and development model. Chemical-Free – Our ingredients are truly natural. Clean, chemical-free and 100% vegan, with no artificial color or fragrances, our products are all handcrafted to contribute to therapeutic skin health. We have sought out aboriginal healers, dermatologists, estheticians and homeopathic practitioners to find out what they use to rejuvenate and protect the skin. Besides moisture, they prescribe natural oils and herbs to deep clean and open the pores to receive healing oxygen. Our experience with physicians educated at Scripps Institute and Johns Hopkins in our 10-year design quest has given us a broad-reaching knowledge of skin conditions and the required treatments. These guides helped us to find those ingredients that offer the greatest benefits to the skin. Our processes are as unique as our ingredients. The adage that oil and water do not mix is no longer true because of the science developed by keys. Manufacturing techniques that include ultrasonics and infrasonics help blend the minimal number of ingredients to smooth lotions and soaps. 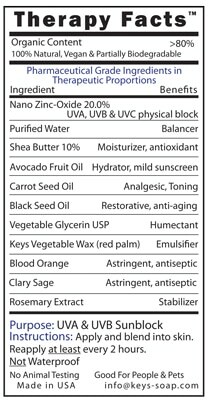 The industry average for a skincare product is 38 ingredients/chemicals. At Keys, we average 8 whole ingredients that are simple and safe. This is why Keys natural products continue to rate the safest and most effective based on the www.safecosmetics.org Skin Deep report that ranks product safety. Keys announces the release of three new products to the only skincare line that is both chemical-free and therapeutic to clean, restore and protect for real skin health. Like the Keys soaps released in April 2005, our products contain only pure natural ingredients, no human-made chemicals or fragrances, and no Sodium Laureth Sulfate! The complete Keys line enables total skin care including cleaning the skin, restoring damaged or affected skin, and protecting the skin from solar radiation effects. Keys Soap exhibited at the Natural Product Expo East trade show September 16-18, 2005 at the Washington DC Convention Center. An international audience of trend spotters, retailers, industry leaders, and media will gather at the Washington D.C. Convention Center to interact with more than 1,100 exhibitors of natural and organic finished products and ingredients this Sept. 15-18, 2005 at the 20th anniversary of Natural Products Expo East/Organic Products Expo-BioFach America. The tradeshow will pinpoint industry trends and offer unmatched opportunities to sample and learn about the finest natural and organic products from around the world. More than 20,000 industry members attended Natural Products Expo East in 2004. Here is the press release that changed how the industry looks at ingredients and disclosure. This marked the beginning of a trend and perhaps even a law regarding full-disclosure of ingredients for all skin care products. Annapolis, MD: – March 29, 2007 – Keys Care CEO, Wendy Steele, revealed today at a press conference Keys new logo and Therapy FactsTM product labeling. The new Keys logo is a stylized white cross on a circular red field that resembles an Internet icon. This new logo symbolizes the merging of high tech manufacturing and the medicinal properties. It also clearly differentiates Keys products from chemical-based fragranced products. Keys also add a Therapy FactsTM Panel to every label that identifies the ingredients, their purpose and the percentages of active healing ingredients. The panel also indicates Keys use of pharmaceutical grade ingredients in therapeutic proportions versus the industry standard operating procedure of listing ingredients that are in minuscule levels only for label content. The Keys Therapy FactsTM panel is on all their new products labels and will eventually be on their entire line of personal and pet care products. The panel identifies critical decision points for buyers. Here is a list of the core sections of the panel. Keys Soaps solve skin problems, stimulate the senses, and create positive emotions. 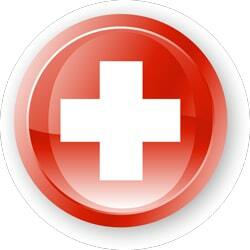 Islandceutical™ is our term that assures people of these three criteria. All Keys Soaps are a form of aromatherapy. We have mapped the essential oils (EO) we use to provide a lift to the spirit and senses. Aromatherapy has proven to affect the mind and the moods of people. This is why we have chosen the spirit-lifting citrus blends combined with natural EO herbal extracts as a side purpose for our soaps. Keys handcrafts our products to lift the spirit as well as provide therapeutic benefits to the skin.